Whether you’re a mesothelioma patient, family member, or friend, we’re here to guide you through every step of the diagnostic and treatment process. We’re a small team of caring healthcare professionals, patient advocates, and communication specialists dedicated to helping you and your loved ones understand what is mesothelioma, where and when was your exposure to asbestos, and what are your treatment options. At Mesothelioma Group, we believe that everyone needs an advocate who can provide valuable resources and practical advice to empower the decision making prcess for those who have been affected by this disease. We are a community dedicated to those that have been impacted by Mesothelioma. Our support group strives to improve your prognosis and raise mesothelioma awareness. Mesothelioma is a complex disease, but getting the best possible care should not be. We research to provide top-notch medical materials and community support for those impacted by Mesothelioma. Our team is dedicated to providing personalized information, resources, and support for caregivers, patients and their loved ones. We believe in building awareness for mesothelioma as well as educating mesothelioma patients and their loved ones. Our team will provide resources for treatment and the latest mesothelioma news to help guide your decisions related to your specific needs. We understand the outlook with a mesothelioma diagnosis, but do not believe it is the end of the story with advancements in medical treatments, information accessibility, and support from within our community. You are not alone with your prognosis. Learn about new, innovative treatment options, how to pay for treatment, and what you can do to extend your life expectancy - all at your own pace. From Diagnosis and Treatment to Help, we are here to assist you in finding the answers to your questions and in helping you get the needed support to improve your prognosis. Learn about new, innovative treatment options, how to pay for treatment, and what you can do to extend your life expectancy - all at your own pace. From Diagnosis and Treatment to Help, we are here to assist you in finding the answers to your questions and in helping you get the needed support to improve your prognosis. Mesothelioma is a rare cancer that affects the thin membrane protecting several of the body’s most important organs, including the lungs, abdomen and heart. Each year, roughly 3,000 new cases of mesothelioma are diagnosed and the only known cause of Mesothelioma stems from exposure to Asbestos. The most common type of is Pleural Mesothelioma (about 75% of diagnosis), followed by Peritoneal Mesothelioma and Pericardial Mesothelioma. While common symptoms associated with many ailments may make diagnosing mesothelioma difficult, early detection of mesothelioma will assist health care providers in developing your care plan. Most signs and symptoms associated with Mesothelioma may take up to a decade or longer to appear after the exposure to asbestos occur. Doctors create treatment plans based on his or her patient’s diagnosis while researchers are exploring new treatments options every day, giving patients hope to improve their prognosis. Patients may choose traditional therapies, as well as elect to participate in clinical trials with the hope of leading to a future cure for mesothelioma. With more advanced clinical trials and more information available to those who think they may have been exposed to asbestos, many people live much longer with the disease than in the past. Getting help from an experienced doctor and a strong support community may help your prognosis and quality of life. Veterans with Mesothelioma often qualify for additional VA support. As recently as the past few decades, asbestos endangered the lives of men and women in the Armed Forces. If you are a veteran and have received a mesothelioma diagnosis, filing a VA claim can pay for your treatment and improve your quality of life. Learn how others survived and how you can fight mesothelioma. 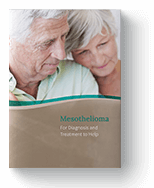 The Patient Support Center at Mesothelioma group will help you find treatments, offer consultation to improve your prognosis, and learn about recent clinical trials to make a difference in your mesothelioma prognosis. Receive the latest caregiver information and resources. At Mesothelioma Group, we understand the importance of caring for a loved one or patient that is fighting mesothelioma. We invite you to learn more about best practices in caregiving and well as preparing to give care. 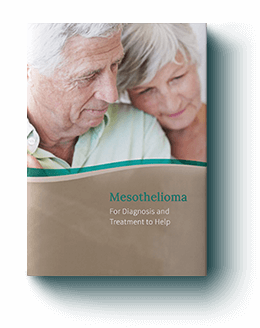 Our team at the Mesothelioma Group takes pride in providing additional resources related to mesothelioma, cancer, and health for our visitors. Below are our most popular supplementary resources. I’m so glad Bud and I made the decision to seek help. With the help of the organization and doctors Bud was able to extend his life after he was diagnosed.